This bedroom was designed around the customers Ralph Lauren bedding. I pulled out two of the colours in the bedding creating a striking horizontal striped effect with slubbed silk textured wallcovering. 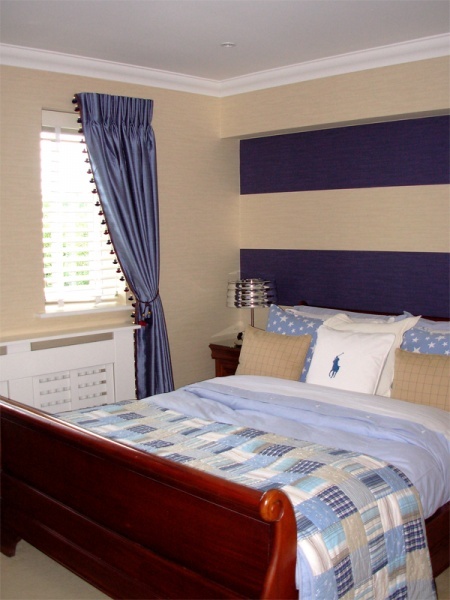 We used colonial look painted wooden venetian blinds with dress curtains to soften the windows.